Nicolas Ghesquière set his S/S18 Louis Vuitton show in the Louvre’s Pavillon de l’Horloge. The collection itself was a mish-mash of the contemporary – including a Stranger Things T-shirt and chunky, futuristic trainers – punctuated by a series of frock coats that alluded to the lavish decadence of 18th century France. These pieces, which wouldn’t have looked out of place worn by Louis XVI himself, married the historic grandeur of French high-fashion with the modern Parisian sensibility for which Ghesquière is so renowned. 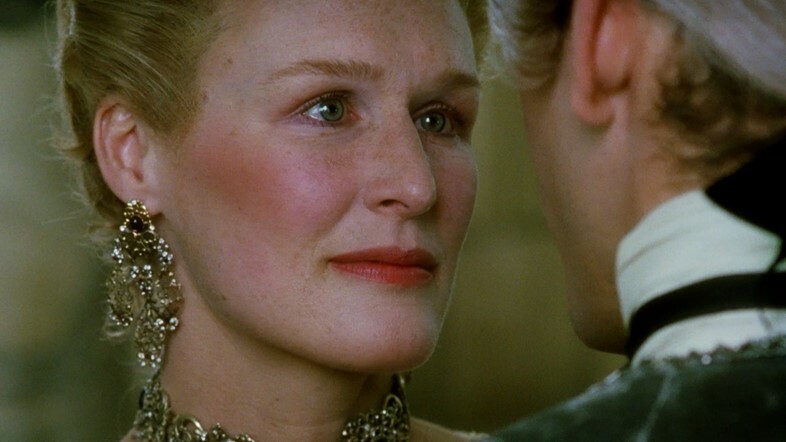 Stephen Frears’ Dangerous Liaisons (1988) is a film that delves into a similar moment. Based on the 1782 French epistolary novel Les Liaisons Dangereuses by Pierre Choderlos de Laclos – which was so scandalous at the time of its release that Marie Antoinette read it bound with a blank cover – the film won three Academy Awards: Best Adapted Screenplay, Best Costume Design and Best Art Direction. Unsurprisingly its visuals are sumptuous, and the acting equals in richness. 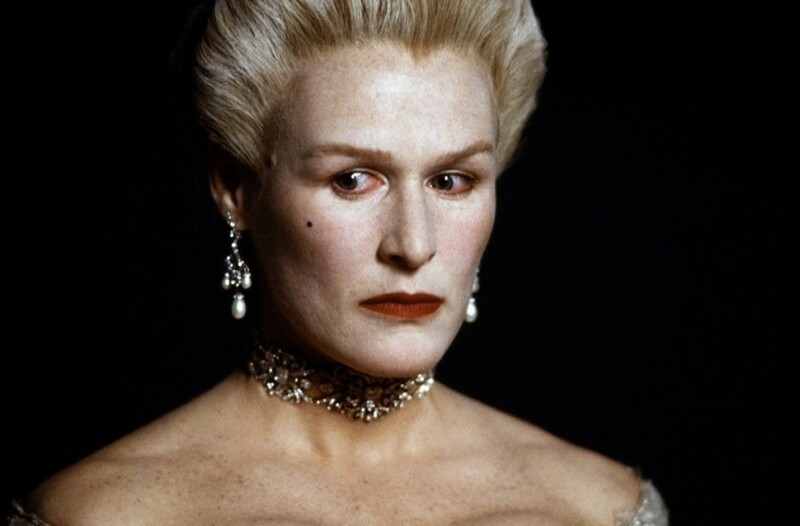 Starring Glenn Close as the calculating Marquise de Merteuil, and John Malkovich as her ex-lover Vicomte de Valmont, the film chronicles the emotional game-playing of the two bored aristocrats as they set about ruining lives and shattering hearts. Ultimately, the vile pair end up destroying themselves, bringing Madame de Tourvel (Michelle Pfeiffer) and Cécile de Volanges (a sprightly Uma Thurman) down with them. If this plot sounds rather familiar, you’d be right in thinking that Dangerous Liaisons formed the basis of 1999’s Cruel Intentions, too. Here, we examine the lessons to learn from such a tale. One of the first noticeable things in Dangerous Liaisons is the sheer amount of squashed cleavage on display. Close (as the Marquise) has the grandest iteration; the silk corsetry tightly binding her waist pushes her ample assets skywards, or allows them to spill slightly over the top of her dress as she sprawls across a chaise longue. Indeed, such a style choice dictates that the Marquise takes many lovers, using her heaving bosom as an accessory to put the men in her life under a spell. If ever there were a case for baring your décolletage, the Marquise is making it with aplomb. Dangerous Liaisons has a striking colour palette, with many of the exquisitely crafted costumes worn by the female protagonists created in the shade of sickly sweet sugared almonds. Although the Marquise de Merteuil is esssentially as cruel as they come, the frou-frou satin and silk ensembles, peppered with pastel-coloured bows and milky white pearls, mask her true nature. In short, if you want to fool everyone into thinking that butter wouldn’t melt in your mouth, a saccharine garment makes for the perfect disguise. “Do you still think men love the way we do? No...” says Valmont’s aunt Madame de Rosemonde to a despondent Madame de Tourvel, who has fallen for her nephew’s trickery. “They are not capable of devoting themselves exclusively to one person. So to hope to be made happy by love is a certain cause of grief.” Arguably a prophetic statement from Rosemonde, played by an 83-year-old Mildred Natwick in the last film of her career, who may as well have predicted the modern-day dating landscape. Heed her sage advice: people on dating apps are not to be trusted. Delete Tinder post-haste. The film’s chief make-up artist, Monique Huylebroeck, created a look for Close, Uma and Pfeiffer that would showcase their au naturel beauty. Skin dusted with translucent powder and a swirl of rouge, and lips tinged with a rosy hue is all that was required to emulate 18th century realness. 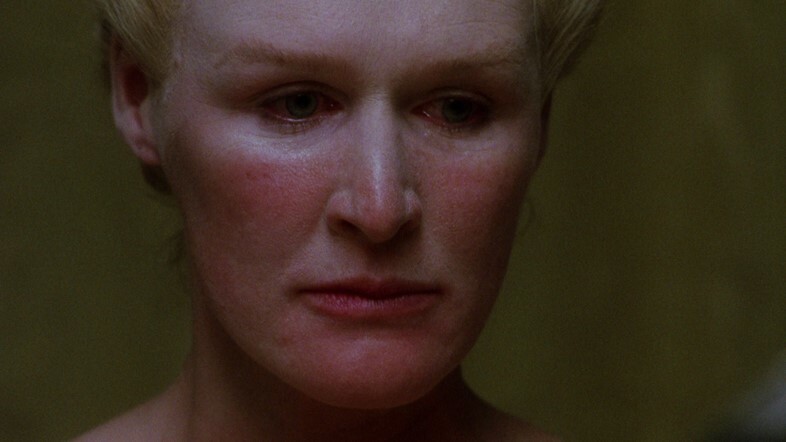 The women in Dangerous Liaisons have no time for the application of mascara, and why would they bother? It would only streak down their faces at the first sign of emotional upheaval, of which there is plenty. 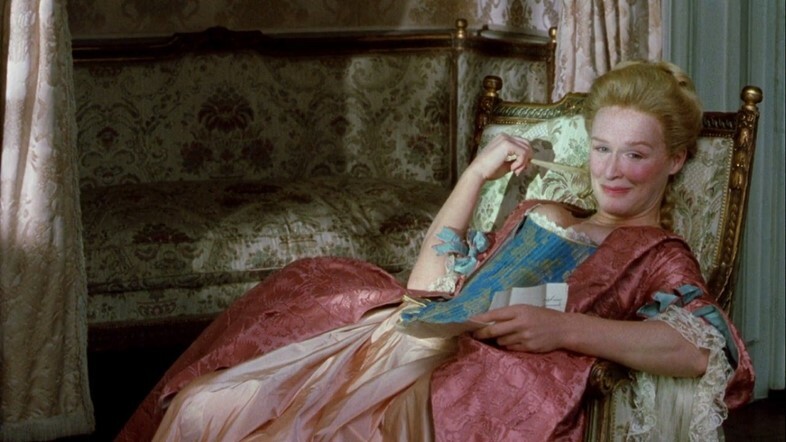 In the final scene of the film, a disgraced Marquise de Merteuil attends the opera, where high society, having learned of her foul deeds through the distribution of some very revealing letters, ‘boo’ her away into obscurity. The closing shot captures the Marquise wiping away her blood-red lipstick and milky face powder as tears begin to well in her eyes at the realisation of her demise. Let’s just hope she remembered to tone and moisturise – for even a social outcast deserves a clear complexion.